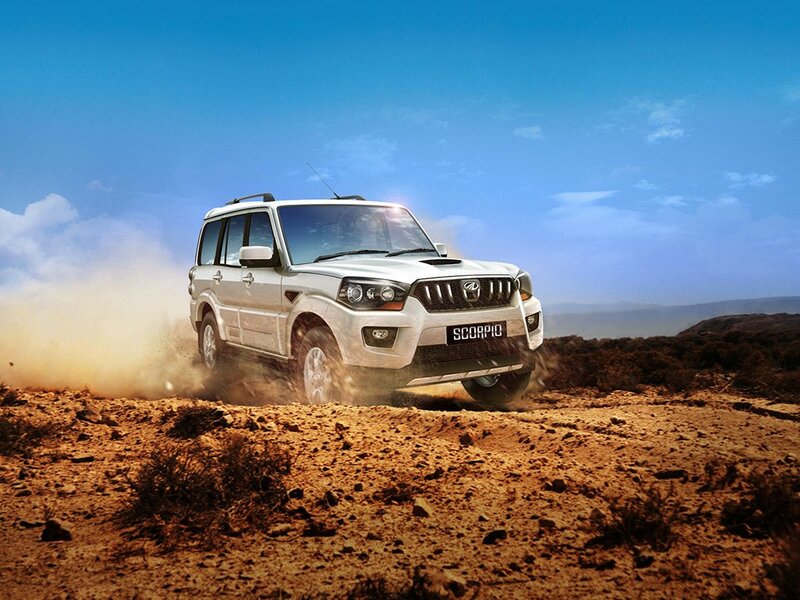 The 2015 Mahindra Scorpio SUV Facelift has been launched in six variants – S2, S4, S6, S6+, S8 and S10. Of these variants, the S4 and S10 variants will receive a four wheel drive option in the coming weeks. On the sidelines of the Scorpio Facelift’s launch in Mumbai, Mahindra & Mahindra’s CEO-Automotive, Mr. Pravin Shah, revealed that the automaker will introduce the 4X4 option on the S4 and S10 variants shortly and that the prices of these variants will be announced at the time of the 4X4 option’s introduction. Expect the 4X4 variants of the Scorpio Facelift to be pegged at about a lakh rupees higher than equivalent variants of the rear wheel driven models. A key point to note here is that the S4 4X4 variant of the Scorpio Facelift will get the optional safety package, which will allow buyers to specify the Scorpio S4 4X4 with ABS+EBD and Twin Airbags. The 4X4 mechanism will be sourced from Borg Warner, as was the case with the pre-facelift model. The system will continue to be offered with shift-on-the-fly feature. The other major story from the launch concerns the automatic variant of the Scorpio. Mahindra has no immediate plans to re-introduce the automatic variant of the facelifted Scorpio. The outgoing Scorpio featured a 6 speed automatic gearbox, which made it the only ladder frame SUV in its segment, and in the sub-20 lakh rupee category to be sold with such an option. Cars featuring the diesel engine-automatic gearbox combination are becoming more commonplace in the Indian car market, what with the likes of the Tata Zest, Volkswagen Vento Facelift, Skoda Rapid Upgrade and the Hyundai Verna offering such combinations. In the SUV world though, the diesel automatic combination is yet to take off, especially in the sub-20 lakh rupees category. With the growing demand for convenience among car and SUV buyers, the opportunity for such a combination exists. With Mahindra ruling out the Scorpio Automatic’s launch in the near future, the field is now wide open for other automakers to venture into this segment.